Scott Gerber is the Principal and Chief Executive Officer of Gerber Group. 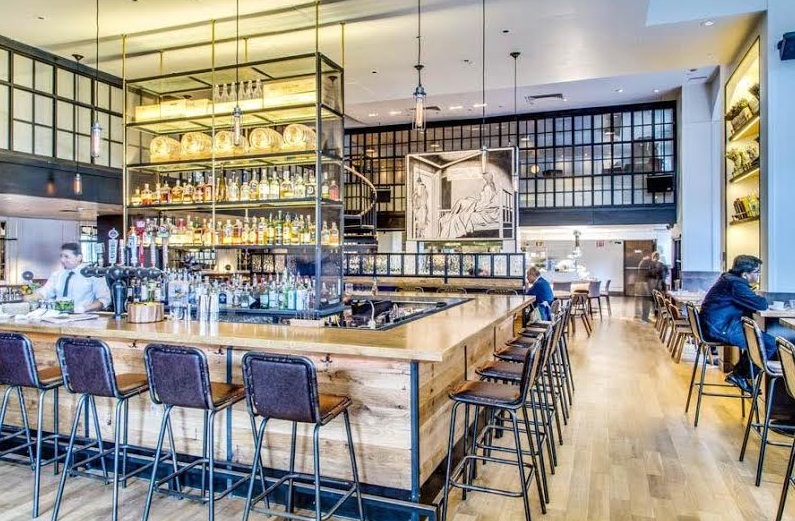 Setting out to provide an innovative nightlife experience, Gerber Group opened their first property, The Whiskey at the Paramount Hotel, in 1991. Soon after, Scott took the lead in forging a partnership with Starwood Hotels & Resorts to develop the W Hotel brand, which now features Gerber Group venues throughout the U.S. and in select properties internationally. The partnership is widely credited for changing the landscape of the nightlife industry by creating unique, innovative venues that have re-defined ‘hotel bar.’ Today, Scott manages the company and its full portfolio of properties. At the time, my brother Rande and I were both real estate brokers. One of Rande’s clients was Ian Schrager, and he was looking for a bar for his first boutique hotel. Ian did not like any of the bar operators Rande had introduced, but he liked us, so he offered us the opportunity to open the bar at the hotel with his guidance. We thought it would be fun to have a bar to hang out at with our friends, and in 1991 we opened The Whiskey, at The Paramount Hotel in New York City. Tell us about Gerber Group. What inspired the idea and what is your vision for the company? When it started, we were just doing the one bar for fun, and thought it would be cool to have a bar to hang out at with our friends, but when it became a huge success, we decided to expand slowly. As we grew, we had the opportunity to partner with one of my real estate clients, Giorgio Armani to run his restaurants, and then we partnered with Starwood to develop W Hotels. The vision of the company is to continue to grow and work with the talented people that I enjoy spending time with every day. What strategic partnerships/marketing strategies have you implemented that have attributed to Gerber Group's success? In 1995, we were approached by Giorgio Armani to manage the Armani Cafes in Boston, Costa Mesa, Los Angeles and San Francisco. In 1998, Starwood Hotels & Resorts was in the process of creating a distinctive new boutique hotel brand, and they approached us to partner with them and develop W Hotels. We knew we had the potential to be a “big” company. We also have a long-standing partnership with Host Hotels & Resorts, which has greatly attributed to our success. Gerber Group has managed to create longevity over the past 23 years by not creating trendy bars, rather bars that are on trend. We are aware of the trends, yet we don’t let the current trends dictate our business model. We concentrate on creating a consistent feel in each of our venues, all while adapting to the local demographics of the city. Live every day to the fullest, because you never know what tomorrow may bring. To treat our guests like we want to be treated, with kindness and respect. Your greatest success as CEO of Gerber Group? My greatest success as a CEO is watching the people that I work with grow; not only within the company, but also in life. The most difficult moment for me was the passing of my father. My father was a figure larger than life who everyone had great admiration and respect for. He was my best friend. He taught me so much, both about business and life, that not a day goes by that I don’t think about him. I don’t know if you can overcome that loss, but you learn to deal with it. He is greatly missed and every day I think about what a great man and mentor he was. I still ask him for advice. Solidify a great relationship with your partners. In business, things sometimes happen that are out of your control and righting the issue with a fair partner can make all the difference. How important is design/architecture to the success of your venue? It’s very important and I am extremely involved with the design of each of our venues. I think you should offer guests many different types of seating areas, like high tops, couches and dining height tables. Great lighting is so important, everyone should look good and music should be at an appropriate volume so you can hear your conversation, but not your neighbors. You also should have a great liquor display. I’m a simple guy, give me a great burger and bourbon, and I’m set. If I had to be specific, I would say a burger from P.J. Clark’s and a Gerber Group Manhattan with Woodford. I wish I had time for that. Truth is there is no book on my night stand. My father. He was a great man and mentor that taught me so much, both in business and in life. I hope I am half the father to my kids, as he was to me. I like working out. I have a trainer and take Soul Cycle classes several days a week. It feels good to be strong. Plus I need to counteract all the eating and drinking I do for work. My house in Whitefish, Montana. People have the perception that I’m a city boy, but in actuality I love the outdoors. In Montana, I like to mountain bike, hike, fly fish, ski and wake surf and play golf. What's next for Gerber Group? Right now we are re-designing a bar and restaurant at the W New York – Union Square and are in the process of developing a bar and restaurant in the new Indigo Hotel on the lower east side of Manhattan. After that? The sky’s the limit. Today, Gerber Group encompasses 18 iconic venues under such brands as Whiskey Blue, Whiskey Park, Living Room, Stone Rose Lounge, THE LCL: Bar & Kitchen, Kingside and The Roof. Scott continues to oversee the company’s growth, having recently opened Kingside and The Roof at Viceroy New York on West 57th Street, as well as Studio, a lounge installation with contemporary artist Domingo Zapata at W New York – Union Square. Gerber Group is also currently consulting for Fred’s at Barneys in both New York and Los Angeles and managing 201 Bar and Restaurant at W New York – Union Square which will be re-concepted in the upcoming months. In addition, Scott continues to manage Gerber Group’s strategic partnerships with Starwood Hotels & Resorts, Host Hotels & Resorts, W Hotels Worldwide, Westin Hotel & Resorts, Related Companies, Noble Investment Group, Viceroy Hotels and Resorts and American Realty Capital. 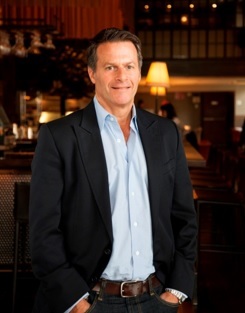 Scott is widely viewed as a leading entrepreneur in the hospitality industry and has appeared on the popular Fox Business Network show “America’s Nightly Scoreboard”, CNBC’s “Squawk On The Street”, and MSNBC’s “Your Business”. Scott has also been quoted in the Wall Street Journal, USA Today, Forbes, Market Watch, Crain’s New York Business, Bloomberg BusinessWeek, Hotel Business, Nightclub & Bar, and Bar Business Magazine, among others.